Ryo Fukui - Mellow Dream. Vinyl LP. Bleep. Heavy cardboard old Stoughton tip-on sleeve. The late Ryo Fukui gets a second of his LPs reissued by We Release Jazz. Mellow Dream was taped in 1977 and showcases the pianist at the peak of his powers. 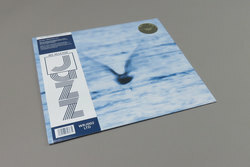 Fukui and his band cover a wide range of melodic jazz styles across this album, from woozy balladry (‘My Foolish Heart’, ‘My Funny Valentine’) to swinging post-bop (‘Horizon’). Along with WRJ’s recent re-release of 1976’s Scenery, Mellow Dream has helped shine new light on a player of considerable talent.